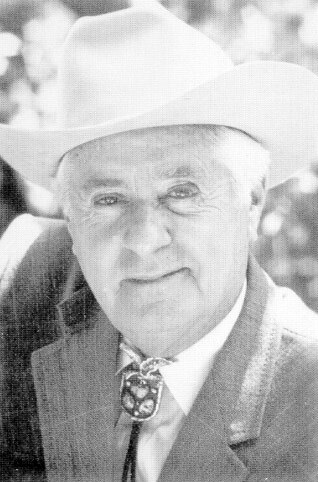 One of the most recognized names and voices in broadcasting history, Curt Gowdy has been one of his native state’s most vocal ambassadors. Before he began his broadcasting career, Gowdy played forward on the Wyoming basketball team from 1940-42, earning three varsity letters. He also lettered three times in tennis before graduating from UW in 1942. Gowdy began his career at radio station KFBC in Cheyenne and as a sportswriter for the Wyoming Eagle, then worked as a broadcaster in Oklahoma before joining the New York Yankees’ broadcast team. He later worked for ABC Sports, creating and hosting “The American Sportsman”, a weekly hunting and fishing show. He is a member of the American Sportscaster Hall of Fame, the Oklahoma Sports Hall of Fame, Pro Football Hall of Fame and the Sports Writers and Broadcasters Hall of Fame. As a broadcaster Gowdy has covered eight Super Bowls, 16 World Series, 12 Rose Bowls, eight Olympic Games and 22 NCAA Final Four Championships. Seven times Gowdy has been named the National Sportscaster of the Year. He has covered more major sporting events than any other broadcaster in history.